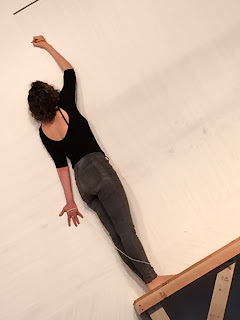 Abigail Levine interprets Sol LeWitt’s Wall Drawing #56 (1970) as a choreographic score, taking 25 hours over the course of 5 days to complete the 3,744 lines. Sound design: Dave Ruder. 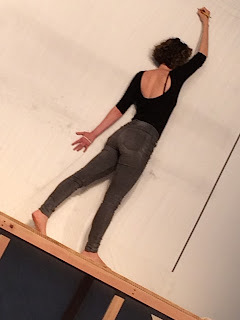 Choreographing LeWitt is the first in the multi-work series Re-stagings, which reads modern and postmodern visual artworks as scores for performance. On the scaffold, she slowly walks her line, dragging splayed left hand, hip, shoulder along demarcated whiteness, smearing traces. Right hand, high, inscribing. Imperfectly, her lines marks time. A line stops. She stops, turns, regroups at its beginning, beginning beginning. A body beginning, a body makes this, lead scraping paper, with story, a woman's body. Re-stagings No. 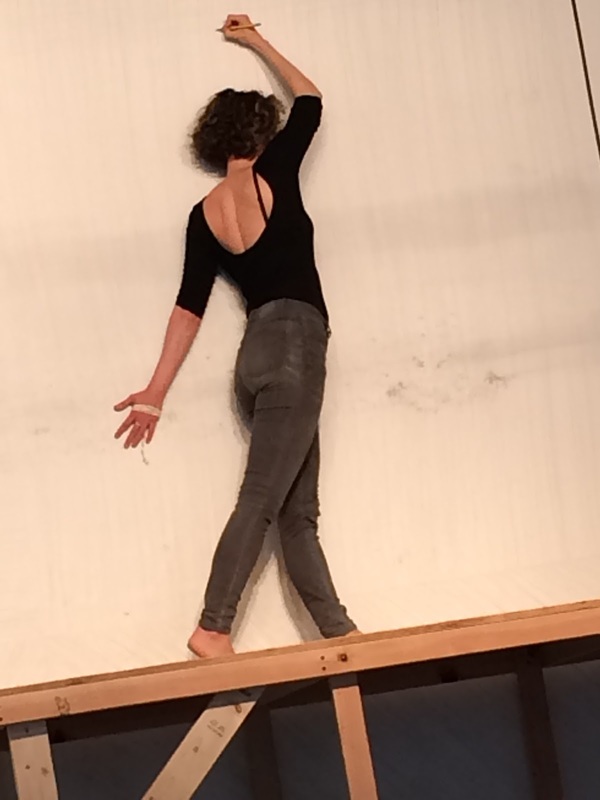 1: Choreographing LeWitt continues tomorrow and Thursday, from noon through 6pm. Thursday's closing reception is from 6pm to 8pm. Admission is free. There are a few seats.